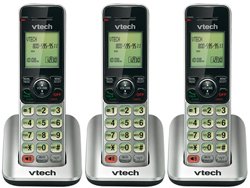 The VTech CS6429 is the cordless phone comes equipped with DECT 6.0 digital technology which delivers excellent sound, enhanced security and range. Moreover it features interference free crystal conversation-wont interfere with wireless network and other electronic devices. The phone is expandable up to 5 handset using only one phone jack. The CS6429 can easily store 50 name and number. With just the touch of a button, hands-free conversations are made easy with the handset speakerphone. The phone has additional features like volume control, digital answering system—no tapes or moving parts and tri-lingual menu setup. 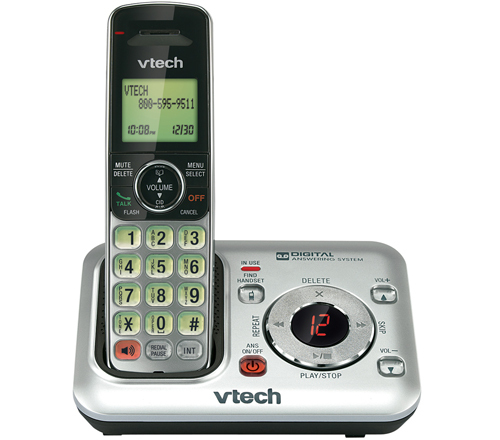 The VTech CS6429 has many exciting features for users of all types. 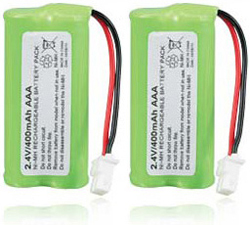 You can extend the lifetime of your VTech CS6429 with the purchase of a FactoryOutletStore Factory Protection Plan. 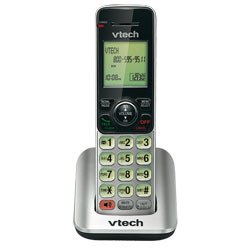 See the VTech CS6429 gallery images above for more product views. 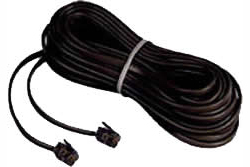 FactoryOutletStore stocks a full line of accessories like 25 Foot Black Line Cord, Extra Handset, and Panasonic KX-TCA430 For VTech Phone for the VTech CS6429. The VTech CS6429 is sold as a Brand New Unopened Item. I am more please with this phone set that I can say. The speaker phone works great and the range is awesome. 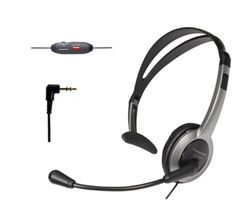 I wanted this set because of the intercom feature and it turns out the range is so good that I can keep a handset way out in my shop and my wife and I use the intercom system to communicate so we don't have to use our cell phone if we need to ask each other a question. And, in my shop, the sound quality is as good as it is in the house. The other great feature I was not expecting is the ability to retrieve messages from any handset so I do not have to go to the recorder to check for and retrieve a message. I can just sit there and play and or delete messages from where ever I am at.